Nearly six years ago I changed my life from a young student who spent 21 years sitting behind a desk in the classrooms of cities. I had always fantasized about being an explorer and, at a time that most people would consider too late, I set out to make that a reality. Then, this past September, I found myself traveling to Seattle where the opportunity to climb Mt. Rainier fell into my lap. Suddenly, I had the chance to climb the mountain that incubated so many of the world’s legends in mountaineering. This was the training ground that had produced the world’s best, and I was about to find out why. Preparation for this trip was intense. 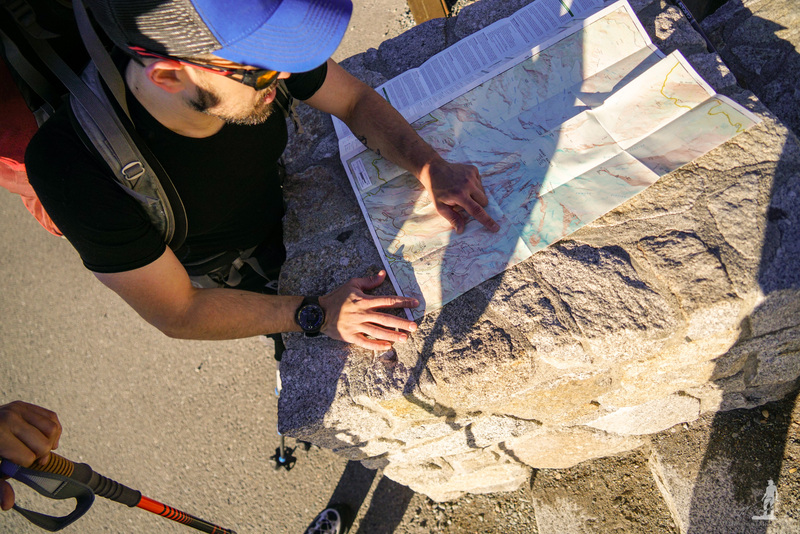 I suddenly found myself scouring YouTube for videos of what I could expect to see, mulling over topographical maps of various routes to the summit, and posting to mountaineering forums to discover the safest approach. It didn’t help that September is the end of the season fraught with bad weather, thin snow cover, and freezing temperatures. I trusted my experienced friend who reassured me that the Kautz Glacier would be ideal. He was excited because this was a direct route that would be fun because it was full of technical ice climbing, and because of this, it would take less time than the popular “DC Route.” It certainly sounded like a more exciting approach than the DC Route, which stands for Disappointment Cleaver and winds around the mountain from west to east. 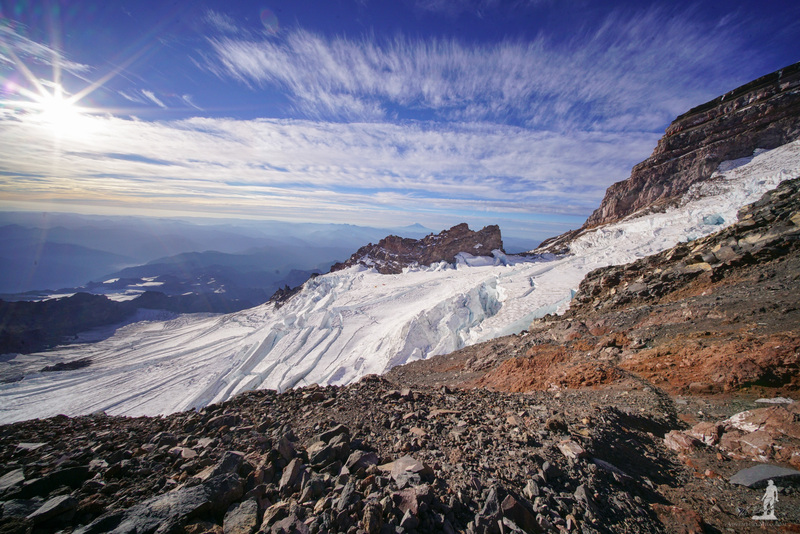 Unfortunately, this would also cut out a stop-over in the legendary Camp Muir. The excitement was palpable as we learned that the weather would be absolutely ideal for our summit bid, but as we approached a different scenario played out. With everyone arriving separately to Seattle, we packed into a rental van and headed for the mountain. 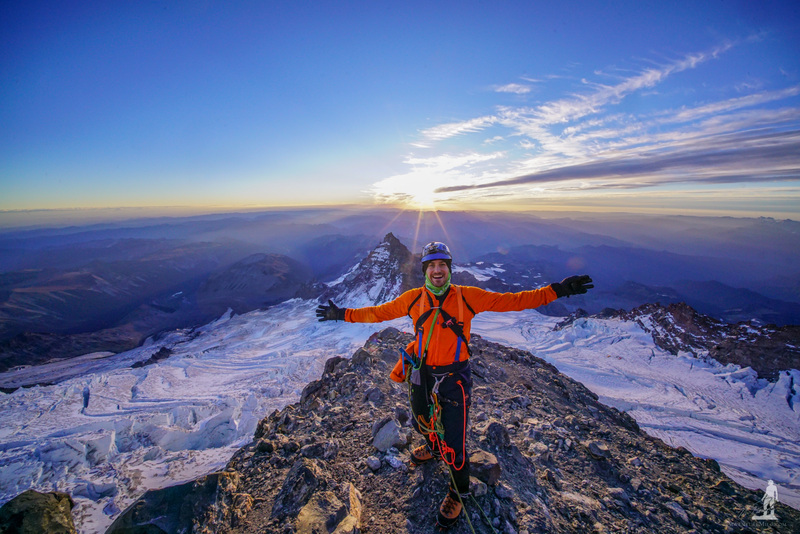 As we watched the most prominent mountain in the contiguous United States fantastically grow in front of us, we learned that the unseasonably warm weather had created extremely dangerous conditions on the mountain that would threaten our approach. Worse yet, as we put boot to trail, we heard a rumbling and watched wide eyed as the mountain gave us its final verdict on our chosen path. 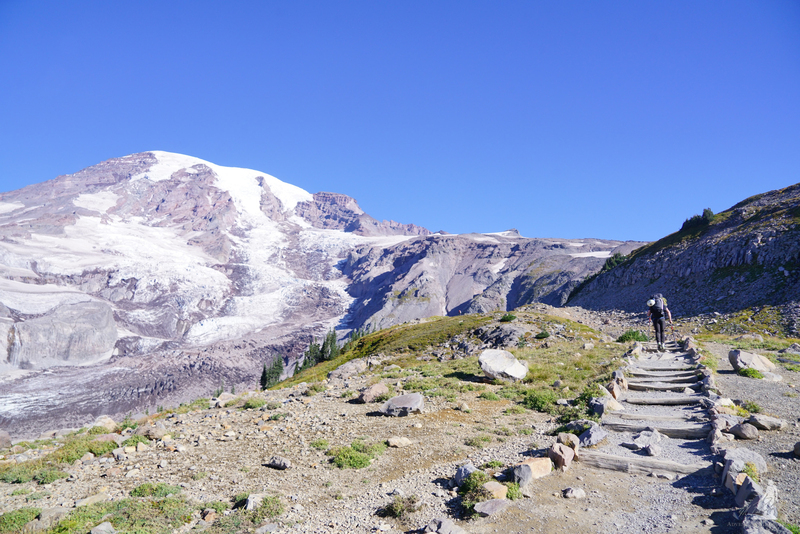 Halfway up from Paradise Valley to Camp Muir, we were silenced as the Kautz Glacier unleashed a white avalanche of snow and ice down our intended route. In a state of shock, I didn’t even think to take my camera out. The flow persisted for about 30 seconds as Olympic pools of debris crashed down a narrow gorge. My jaw agape, it was clear that the only reasonable way up was the DC Route. 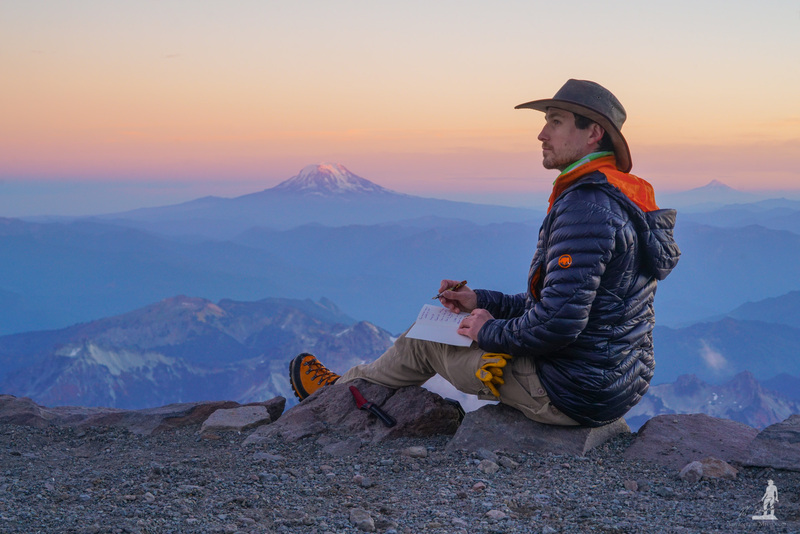 We continued to Camp Muir where we would set up camp and rest for the night. As we approached, however, it became clear that this was a much safer decision on account this mountain is no joke. 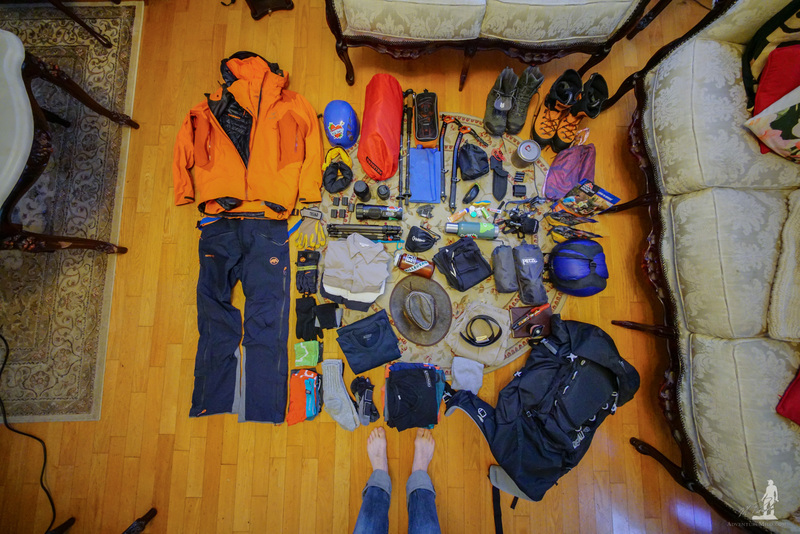 Even the slow and steady approach began to wear under the weight of our gear. My lack of time in the mountains rapidly showed, as my strength required a much slower pace than my friend from the Rockies. We took breaks often, if for anything to look backwards at the incredible unfolding scenery and future trips up Mt. Rainier’s neighbors; Mt. St. Helens, Mt. Baker, and Mt. Hood. Our steady pace paid off in that we reached camp nearly at the same time as guided trips and had some time to look around and practice being tied together for glacier travel. When you climb a mountain this size, you get what’s called an Alpine Start. It is not so much an early start as it is a late one, because you take off shortly after midnight. 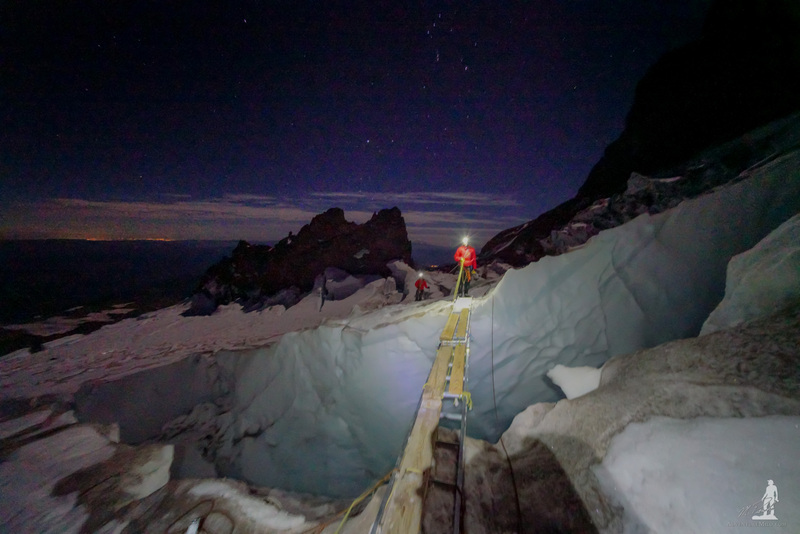 With what felt like no sleep at all, we roused groggily and put on our harnesses, roped up, and attached crampons to our boots. Because our goal was to reach the summit and descend in the one day, we only needed water, snacks, and cameras. However, even this humble amount felt like we were carrying boulders as we breathed thin air. Though the composition of our atmosphere at this elevation was the same, the volume of each part was much smaller, including oxygen. With less oxygen, only a couple steps made us completely out of breath . It didn’t help that we had climbed in excess of five hours with full backpacks the previous day. Mt. Rainier welcomed us, and immediately let us know what we were in for. It felt like we were the only ones on the mountain. There was no wind and the only sounds were those of our crampons biting into the hardened ice. I don’t know if it was the thin atmosphere, but the moon shined so bright that we could make out practically every feature on the glacier. Certain of this trail that hand been stomped into a clear path after a full season, we turned off our headlamps. It was only when we started towards the dark granite walls of Disappointment Cleaver that the glacier became uncertain. This is where we started to see vase separations in the glacier called crevasses. These deep cracks and splits cut through the entire glacier, resulting in vertical holes along slick, icy walls that could swallow a man up before he could make a sound. Crossing over these chasms, we looked like fleas on the giant glaciers that unfurled like tongues from this monstrous mountain’s summit. The steps became heavier and each one took just a bit longer. The rock was dry and loose with great boulders building steep stairs upwards. It became clear too, that we were on a volcano as we passed steaming vents that pumped out putrid sulfuric fumes. As this never ending staircase grew beneath us, the sun rose behind us. Having reached this point on Disappointment Cleaver, we noted the observation that it is an appropriately named feature, because this is where we found ourselves gassed. Though I could go on, the reasonable side of me urged to reconsider. By this time, we had watched as a Chinook helicopter evacuated a patient with a broken leg, another patient was being slowly taken down who had similarly taken a bad fall but escaped critical injury, we learned by passing a guided group coming down the cleaver that an entire portion of the trail had collapsed and only one other group was navigating around it, and as the sun rose the ice was warming up fast. We sat together on the rock and stared at the sun. We didn’t, we came here to climb this massive rock and the summit was a bonus. It would still be there next time we returned; unless the mountain experienced the same fate as Mt. St. Helens, which was unlikely. The decision to turn back was extremely difficult. We were mere hours away and a feeling called “Summit Fever” crept into my mind. This was a brain virus that gave you tunnel vision to the top; no man or natural force would stop you short of death, which more often than not was the case in such situations. Of course we could push harder and get to the summit, others have certainly done so successfully in the past… but the mountains aren’t a place you try your luck. We had no idea what dangers awaited us on the way up with these conditions, or the way down. None of us had been here before. But, we made it so far… This mental fork in the road is certainly appreciable to those who have felt it themselves. In the end, we turned back. Perhaps I am glamorizing this moment a bit, but I do intend to reveal the dense flavor I tasted of this magnetism which drew me upwards against my best interest. Fortunately, I repeated to myself on the way down that the summit will still be there next time. And I will be back. Previous PostIs Breathing Your Climbing Problem?